If you are certified in one area, look to the next progression up the pro AV certifications ladder, because we should never stop developing our skills. Prior to InfoComm 2018, I responded to people who wanted to know what to see at trade shows. My response caught a few off-guard: they expected a litany of all the great technologies to see. With no disrespect to exhibitors, my advice was to start by signing up for as many pro AV certifications courses as possible. Most will agree that adding to the portfolio of what you know is a good thing… but the point in this advice is that knowledge is strength, and constantly adding to what you know is the best differentiator in an industry that is fraught with the appearance of sameness. Focus first on self-improvement, THEN you can enjoy all the cool technological advancements. 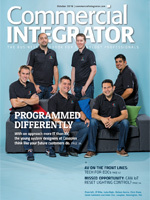 So which pro AV certifications and education courses might be right for you? This is an interesting question, in light of the vast number of certifications that appear to be popping up all around us. It seems that every hardware manufacturer or software developer has their own “certification” of some sort attached to their offerings. On the face of it, most certifications are good — but left unmanaged and learned in an ad hoc manner, this conglomeration of disparate knowledge might actually be confusing. In traditional education, this is what a curriculum is all about. A curriculum focuses on how one topic or level of course relates to another. In each category there are pre-requisites before moving from one course to the next. If left out of order, this can cause the confusion we are speaking about. Herein lies the short coming of disparate or unrelated certifications from multiple companies. Typically, they address part of a topic but rarely embrace all of it and this is where “generalist” certifications takes center stage. The “generalist” certification is one where the curriculum covers the broad scope of an industry and in the process, teaches the fundamentals with some degree of specificity about the major segments. Several good examples of this are the AV certifications from AVIXA (CTS), the Digital Signage Digital Signage Experts Group (DSCE), Microsoft (MCSE), Cisco Certified Network Associate (CCNA), and the Project Management Professional (PMP) from the Project Management Institute. In the case of the AVIXA Certified Technology Specialist (CTS) certification, it covers all the basics of audio, video, design, and integration of an AV system. Beyond the CTS and as sub-specialties there is the DTS-D for design, and CTS-I for integration. All the certifications are completed upon passing an in-depth exam before a person can publicly promote their CTS, CTS-D, and CTS-I designations. This entire process insures a fundamental understating of each segment of the industry and illustrates how they all fit together. 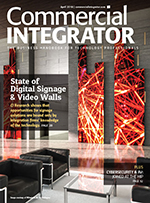 One of the buzz words we hear in AV is digital signage. This is a relatively new industry and crosses several boundaries of expertise. 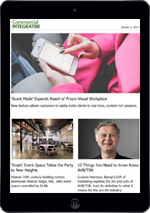 Understanding this, a group of recognized industry experts, authors, and consultants created the Digital Signage Experts Group (DSEG). Its mission is to provide education and certifications involved specifically in digital signage. The DSEG the Digital Signage Certified Expert (DSCE) certification represents the fundamentals while the Digital Signage Network Expert (DSNE), Digital Signage Display Expert (DSDE), and Digital Content and Media Experts (DCME) certification cover the sub-specialties. Coming in 2019 is a new certification in digital signage sales, the DSSP. These certifications are impartial, agnostic, and vendor neutral as any good generalist certification should be. As with other programs, an exam is required to pass each certification. Some of the oldest certifications are in IT. 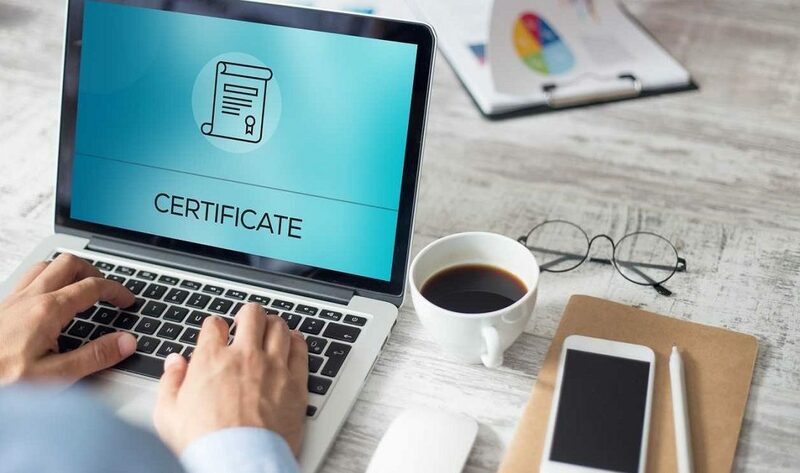 In a recent article, I opined that unlike truly impartial certifications, many IT certification programs are designed to address specific brands and product families, from mega companies like Microsoft and Cisco. For our purposes, they are lumped into the generalist category because they are so pervasive and create the environment in which many other products work. As with other recognized AV certifications, each of the following takes time to study and review and most importantly they have comprehensive exams that are necessary to earn the coveted certificate of completion. CCNA – Cisco Certified Network Associate (CCNA) validates the ability to install, configure, operate, and troubleshoot medium-size route and switched networks, including implementation and verification of connections to remote sites in a WAN. These are the folks who take what the sales person sold, the designers designed, and make it all work to the satisfaction of the end user. I think most would agree that this is often a daunting task. Like the AVIXA CTS programs, experience is necessary to earn the PMP but the rewards are significant and well worth the effort. PMPs earn a higher salary–up to 10% more than non-certified project managers. The best path for professional advancement irrespective of the industry is to earn one or more recognized certifications. In the first place, professional certifications put all the elements of an industry and your experience in context rather than residing as a desperate group of facts and knowledge rolling around inside your head. Secondly, AV certifications are proof positive to your employers, clients, and those outside of your inner circle that you are committed to your profession, not complacent, and actively seek the latest information available to make you and your efforts the best they can be. This has the added benefit of giving people you come in contact with well-earned confidence in your abilities. Research has shown that certifications make you more valuable to employers and all else being equal the nod usually goes to the certified person in a company. There is of course a deeply personal benefit to all of this and that is personal pride and confidence. Each of us must look inward at who we are as individuals and what we provide for our families, our communities, our companies, and our clients. There is an often-unspoken sense of pride and accomplishment that AV certifications bring at all levels. Whether it is a CTS,PMP, DSCE, MCSE, or CCNA, each of these show a dedication to being the best you can be both personally and professionally. If you are certified in one area, look to the next progression up the ladder, because we should never stop learning or developing our skills no matter what profession you are in. The fact is that it all starts and stops with you. I found it interesting how you mentioned how a Microsoft Certified Systems Engineer is a very prestigious title in the audiovisual world and how it takes seven exams to complete. My son is starting his career in AV soon and he wants to know every way he can set himself apart from the competition. I will be sure to pass this information on to him so he can start his audiovisual career in the best way possible!